Introduction: I previously posted a blogged on the recent GAO Report on the OVDI/P initiatives. See GAO Report Targets Strategies Other than OVDP (4/26/13), here, and More on the GAO Report on IRS Offshore Disclosure Initiatives (4/27/13), here. A reader made some comments to one of those blogs and, thinking that the comments might be refined by the reader and useful to other readers as a stand-alone blog, I invited the anonymous reader to do a guest blog on his comment. The reader agreed to do so, but has chosen to remain anonymous. Accordingly, the remainder of this blog is the Anonymous reader's comments as refined for this blog entry. I have not attempted to verify the statements and conclusions of the reader by tracking them to the GAO Report, so I encourage those interested to do so and post any of their thoughts as comments for the benefit of all readers. Particular thanks to this anonymous reader. The balance of this blog entry is the Anonymous reader's offering. I have not done anything other than cut and paste the offering and provided the full link to the GAO publication. Finally, the GAO report on the 2009 OVDP has some data which strongly suggests that a large majority of those who entered the OVDP had tax-compliant principal and only the earnings had not been taxed. It also shows how disproportionate the FBAR penalty has been. Table 2 divides participants into categories based on account size. For the 10th percentile group, with median account size of $78,315 the total unpaid taxes over the six-year 2003-2008 lookback period were $103 (or $17 per year.) It would be hard to imagine anyone wilfully setting up and maintaining a foreign account to cheat for such an insignificant amount of money, yet the average FBAR penalty for this group was $13,320 or 129 times the amount of unpaid tax. Had this been unreported domestic income the fraud penalty would have been 75% of $103, or $77. If unpaid taxes were $107 and assuming a 35% marginal tax rate, this means that there was $306 of unreported income, which would mean that the account principal raised no tax issues and only the account earnings had escaped taxation. Let's not forget that these people had to spend time and money amending six years of returns, and perhaps even spent money on legal fees. A $13,320 FBAR penalty in a case with $107 in previously unpaid taxes is grossly disproportionate in such cases. For larger accounts the penalty is also disproportionate. 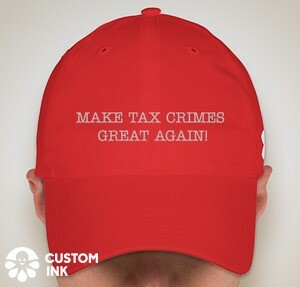 The 25th percentile group with a high balance of $190,365 had $1,661 total unpaid taxes over six years, and paid a penalty of $35,670.For this group, $1,661 in unpaid taxes results in unreported income of about $4,745 over six years,, or $791 per year, using a 35% marginal tax rate for this group also, the numbers suggest that the entire principal was tax compliant and only earnings had escaped taxation. The median account had a high balance of $568,735 and unpaid taxes of $12,748. This suggests untaxed total income of $36,422 over the six years, or $6,070 per year. This is about 1.1% of the principal per year, which again suggests that in most cases there was unreported interest or dividend income, but the principal raised no tax issues. The penalty for this group was $107,949, about 8.5 times the previously unpaid taxes. The 75th percentile group had a high balance of $1,595,805, and owed $60,449 in taxes over the six years, or $10,075 per year, which results in $28,786 untaxed income per year. This is approximately 1.8% of the principal per year, so it would be a reasonable conclusion that in most cases the principal was tax compliant, and only earnings had escaped taxation. . The OVDP penalty of 310,476 for this group is more than five times previously unpaid taxes. The 90th percentile, those with the largest accounts, had a high balance of $4,054,505. Total additional tax owed for the six years was $190,399 or around $31,733 per year, which suggests unreported income of $90,665 per year, using a 35% marginal tax rate. This is approximately 2.2% of the principal per year. This is an average, and it is likely that in some cases the unpaid tax pertains to untaxed principal, but it would appear that in most cases it was only account earnings that had previously not been taxed. For this group the OVDP penalty was $793,166 or more than four times previously unpaid taxes. Just how many of the 90th percentile group, those with the largest accounts, were cases in which the entire balance consisted of unreported income? The data shows that it can only be a small minority, because if it were one in seven accounts, that account alone would have $1,419,077 in unpaid taxes (35% of the $4,054,505 account balance.) Dividing $1,419,077 by seven participants would yield average unpaid tax of $202,725. But since the actual average unpaid tax for this group is $190,399, the number of accounts in which both principal and interest were noncompliant must be less than one in seven, barring some very unusual individual results that would skew the average figures. If one out of ten of the largest accounts consisted entirely of tax noncompliant funds, that one case would account for $1,419,077 of the total $1,903,990 in unpaid taxes for ten participants (using the average of $190,399 per participant) leaving $484,913 to be allocated among the other nine. This would result in average tax liability for the remaining nine participants of $53,799 each, or $8,967 per year, which translates into $25,620 unreported income per year, or annual pretax yield of 0.6% per account. If one in twenty of the largest accounts consisted solely of unreported income, one person would account for $1,419,077 of the total $3,807,920 unpaid taxes for twenty participants, leaving $2,388,843 to be spread among the remaining 19 OVDP participants. Each of these nineteen would have $125,729 total unpaid taxes, or $20,953 per year, which results in $59,871 unreported income, or 1.5% of total principal per year. This result is roughly consistent with the yield implied in the smaller accounts, so it would not be unrealistic to expect that only one in twenty of the largest accounts consisted solely of previously untaxed principal and earnings. It would also seem, given the low average earnings for the smaller accounts, that accounts in which there were tax issues with the principal would be a very small percentage of the total. There may be cases in which untaxed principal was deposited into an account prior to the 2003-2008 period, but not during 2003 or thereafter. But given that during the 2003-2008 period the data suggests that only a small percentage of the accounts consisted of untaxed principal, it would seem logical to assume that most of the funds that escaped taxation prior to 2003 were untaxed earnings, and that most of the principal was tax compliant. Even for the largest accounts, the OVDP penalty seems disproportionately large, as it is far greater than the 75% penalty which would ordinarily be assessed in cases of domestic fraud. It also appears that except for a minority of the largest account holders, it was only account earnings that had been unreported. The OVDP penalty is in addition to back taxes, accuracy related penalty on the back taxes, and interest thereon which OVDP participants have also paid. Anecdotal observation suggests that subsequent programs, with 25% and 27.5% penalties, appear to have attracted smaller accounts with relatively more innocuous facts, so the penalties in such programs are even more disproportionate to past nonfiling of the FBAR. "Time will tell whether this country sells its soul to chace [sic] a relative pittance at the cost of injustice. That is a poor bargain." I guess we now have our answer. Time has told. I am the Anonymous who wrote the blog entry (and not the other Anonymous who has commented.) I thought it best to restrict myself to analyzing the numbers, and to provide my thoughts as a separate comment. I think the fact that these accounts generally earned under 2% per year strongly suggests that in many, or most, cases the motive was something other than not paying taxes: such things as family reasons, geographic diversification, or investments not available in the U.S. I suggest that a fair penalty should be in proportion to unpaid taxes, not highest balance, and that the penalty should be no larger than 80% of unpaid tax. Why 80%? Because that's what the most willful are getting. Someone who sent $1 million of unreported income abroad would owe 35% income tax, or $350,000. An FBAR penalty of 27.5% is $275,000, which is 78.6% of the unpaid tax. I do not think it fair for someone who merely failed to report account earnings to pay more than someone with clearly willful conduct, whose entire principal is not tax compliant, when the same amount of unpaid tax is involved. I also believe that the 80% cap should be retroactive, with those whose penalty was smaller because of optout or the 12.5% or 5% penalty, having the lower penalty amount applied. This would not be a "free pass" to the largest account holders, since for the 90th percentile discussed in the GAO report, unpaid taxes of $190,399 would result in an FBAR penalty of $152,319. Sadly, I have no hope that this might happen. It seems that the IRS has made a decision to impose high penalties on a few, instead of reasonable penalties on many. Did the taxpayer(s) pay U.S. taxes on any of the funds originally deposited into the account(s)? That question is ambiguous, since funds originally deposited into the account might not have been subject to US taxes in the first place (inheritance from a non resident, opened when a resident etc.). Also, for accounts open many decades (I gather many of the UBS accounts fell into that category), the bulk of the account may be composed of earnings in the account, even if the original source was tax compliant. But IF (a very big if) one assumes that this question is a reasonable proxy for how many accounts were tax compliant (other than earnings on account) and If this sample was randomly selected among the $1M plus fine account holders, then only 7/30 or 23.3% of the accounts met this limited definition of 'tax compliance' (30 is about large enough to make some statistical judgements). 1.5% seems to be an extraordinarily low assumption. In these days of low interest rates, it may seem OK, but even now you can get CDs for 5 years with higher rates. Furthermore, interest rates were far higher in the past, and for a stable long lived account higher rates could be expected. Equally we know that UBS at least invested a lot of user accounts in PFICs, which would presumably bring some sort of market based return, and in that case 5% seems very realistic given how world bourses have performed over long periods of time in the past few decades. -- I have read that a number of Swiss banks offer low rates -- they're not selling yield, but service and confidentiality (at least in the past), so its entirely conceivable that rates offered were low, but at least for the larger accounts, it does seem that alternative investment options (including investing in US equities !) were offered. So I don't disagree with your main point that penalties are disproportionate to tax loss (especially for newer accounts), but I do disagree with your 1.5% number (indeed, MTM of PFICs during a period of decline may explain why this number is lower than expected) as an assumption of growth in deposit for a long held account. Researcher, in the case of long term accounts you have a valid point. For the six-year lookback period of 2003-2008, the number is based on the GAO report, so it reflects actual returns. I really don't know what a realistic long term rate would be. Even the Treasury bill rate might not be a good figure, since (as you correctly pointed out) there likely was a portion invested in foreign currencies, stocks, and so on. Not only would interest levels on various currencies have to be taken into account, but also fluctuations in value. For everyone who sells at the top, there is someone else buying the same investment from him, so there is likely a wide variation in returns. There is also the issue of how the money is invested. Those with foreign bank accounts may have made different choices than those with domestic accounts. Smaller or more risk-averse accounts may have had most or all their funds in savings accounts and certificates of deposit (that was the case with me.) In my case the return over the lookback period was less than 1.5%. During the six year lookback period an investment in tbills was up about 17% over the period (more than the 1.5% annual rate used in my example, which when compounded results in a gain over the period of 9.3%) so that the gain was less than for t-bills. This could be due to lower rates on foreign currencies (as you've pointed out) or holding funds in savings accounts or CDs, or losses on currencies, stocks, etc. During the six year period, for US stocks (the S&P 500) the investment was down 10% over the period; this would only enter into calculations if the stock had been sold and there were a capital loss; but of course stocks fluctuated during the period and there were likely individuals with all kinds of combinations of gains, losses, etc. Individual returns, and number of years the funds were held, vary widely. What portion of these total revenues were penalties and what portion were taxes? A rough estimate says, that 66.1% of all revenue collected and trumpeted as a Big success were penalties or $3.77B. $1.93B represented taxes and interest. So, this was a penalty revenue enhancing activity more than a compliance one. Why they couldn't just straight out publish those numbers, I don't know, but I suspect they did not want to draw attention to the penalty amounts, and of course, the compliant journalist scribes weren't asking. I ended up using the ratios of Tax and Penalties in 2009 OVDP which you got from the two charts, and applied it to 2011 as a meaningfully arbitrary assumption. In 2003, there were no penalties collected. I too have been number crunching the GAO report, completely independently, then I found your breakdown. We both focused on the same glaring iniquities (130x penalties for minnows v 4x penalties for whales), but my assumptions and conclusions diverged a bit thereafter. In an effort to use the government's own data to corroborate what until now has been merely anecdotal evidence of minnow abuse in the blogosphere, I chose to compare (as you did) tax paid to account balance. Using the two extremes, I merely acknowledged that a $4M account could plausibly generate $190K of tax over six years, but how does a $78K account generate only $17 of tax annually? The most logical explanation I could find involved the definition of "Offshore account balance" as per the terms of the 2009 OVDP. This is the highest aggregate balance over 6 years and could include all offshore assets (see Q20: http://www.irs.gov/uac/Voluntary-Disclosure:-Questions-and-Answers). So while whales had low profile accounts quietly growing offshore, minnows accounts could vary wildly over the years as various transactions impacted the traditionally volatile balance of a checking account. Minnows balances could include that of their non-resident alien spouse if they were a signatory, pensions, (locally tax free) savings accounts and even the value of their homes if they had so much as rented it out for a weekend. In short, while whales were levied a penalty only on the value of their secret accounts, minnows were levied penalties on their net worth; or so I concluded. Are we saying the same thing in different ways, or have I misunderstood the way penalties and balances are calculated? Another thing that's bugging me: "Table 2: Selected Penalty Information for 2009 OVDP Taxpayers with Closed Cases ...". Does it actually state anywhere that this table reflects the results of all 10 439 closed cases, or could the word "Selected" mean that they are reporting on a subset of that number? The report so clearly focuses on the whales while downplaying any minnow data, that it seems plausible they'd present a whale-skewed subset. We know from P.15 that 378 cases had >$5M balances. If all 10 439 cases are represented in the table then there should be 1044 cases with balances greater that $4M, requiring 666 accounts between $4m & $5M. Does that look like a statistically normal distribution considering all the other data? I'm no good with Excel, and I can't do that one in my head. Even the super-whales, 30 of whom were interviewed. P.16 suggests that most of these were long-term expatriates, former immigrants and possibly even accidental Americans whose balances were mostly earned offshore. Wealthy minnows? Accidental, regarding the smaller accounts, you cite several possibilities as to why additional tax was so low. Here are a few others: the smaller accounts may have paid more in foreign taxes (and the foreign tax credit would have reduced the US tax liability,) for smaller accounts the funds might have been in lower-paying savings accounts, instead of CDs with a higher yield, bank fees (which are tax deductible) have a greater impact on a smaller account than the larger one. As to how balances are calculated, one of my lawyers mentioned one or two cases in which the high balance shot up (in one case literally for just two days!) because a house was sold and another one purchased, I don't know whether the lawyer was successful in having that anomaly excluded from the high balance within the program, or whether it was necessary to opt out. The data reflects the voluntary disclosures under the 2009 program and may not (and probably doesn't) reflect data for unreported foreign accounts. For one thing it is skewed by the inclusion of the 3,000 UBS clients for whom the program was originally created, and these were accounts that were about to be disclosed because of either high balance over $1 million, or use of a domiciliary company and account balance over $250K. These disclosures made up almost 30% of all the disclosures, so I would think that disclosures in the 2011 and 2012 programs (as well as quiet disclosures, and forward disclosures which may well number in the hundreds of thousands based on the increase in FBAR filings) would involve smaller accounts and accounts with more innocent facts. Outstanding web page! I in fact love just how it’s basic on the eyes and the data usually are adequately written. I’m wondering generate an income could possibly end up being advised when a fresh write-up may be built. I have bought for your FEED which often should do the secret! Have a very wonderful morning!